Amphibians in alpine wetlands of the Sierra Nevada mountains comprise key components of an aquatic–terrestrial food chain, and mercury contamination is a concern because concentrations in fish from this region exceed thresholds of risk to piscivorous wildlife. Total mercury concentrations were measured in whole tadpoles of the Sierra chorus frog, Pseudacris sierra, two times at 27 sites from high elevations (2786–3375 m) in the southern Sierra Nevada. 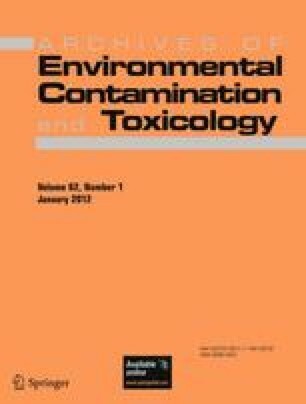 Median mercury concentrations were 14 ng/g wet weight (154 ng/g dry weight), which were generally low in comparison to tadpoles of 15 other species/location combinations from studies that represented both highly contaminated and minimally contaminated sites. Mercury concentrations in P. sierra were below concentrations known to be harmful in premetamorphic tadpoles of another species and below threshold concentrations for risk to predaceous wildlife. Concentrations in tadpoles were also lower than those observed in predaceous fish in the study region presumably because tadpoles in the present study were much younger (1–2 months) than fish in the other study (3–10 years), and tadpoles represent a lower trophic level than these fish. Mercury concentrations were not related to distance from the adjacent San Joaquin Valley, a source of agricultural and industrial pollutants. We thank Kerri Stanley for determining tadpole moisture content. We are grateful for the support from Sequoia and Kings Canyon National Parks, and we thank many other individuals who contributed to the project: Hassan Basagic, Danny Boiano, Joanna Christion, Annie Esperanza, Amanda Marusich, Rebecca Rising, Carrie Vernon, and Harold Werner. We also thank Deb Chaloud for comments on the manuscript. This research was funded in part by the US EPA through Interagency Agreement DW14989008 with the National Park Service. The article has been approved for publication by the EPA.